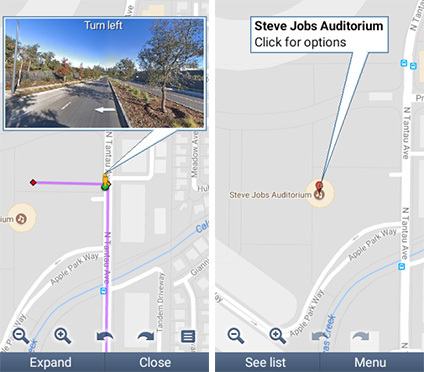 Google Maps is one of the world’s most used mapping applications. Google constantly updates and upgrades its Maps application to add extra information to it and to overhaul its entire look and feel for a better user experience. However, while most apps tend to move on from older operating systems, Google Maps, it turns out, is insanely backward compatible. Huan Truong, a Vietnamese computer enthusiast (he likes to think of himself as a cyberpunk), apparently tried using Google Maps on a variety of old devices and was surprised when it worked on almost every single one of them. Truong first tried running Google Maps on a version of Android 1.0 — the first Android version available, and Maps didn’t disappoint. Apparently, the app even works on some beta versions of Android from even earlier than Android 1.0. 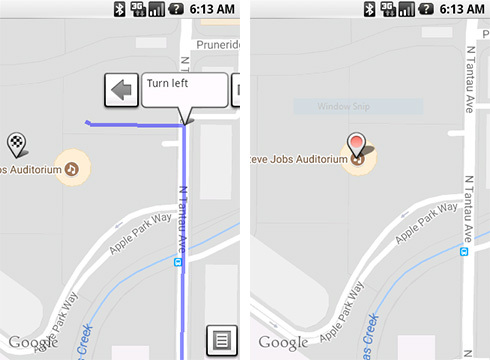 Not satisfied with running Maps on the first version of Android, Truong tried running it on older versions of iOS. 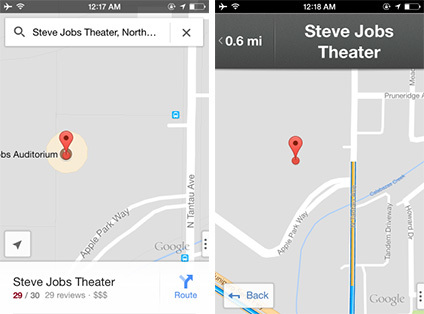 Google Maps works perfectly fine on iOS 6, but that’s clearly not old enough, so he tried running Google Maps on iOS 1, released in 2012 and… it works there as well. My god, Google’s Maps app is definitely pretty awesome. Truong then proceeded to run the Google Maps applet on a Java phone and it worked flawlessly. Even Street View was working completely fine. Let that sink in a bit. Google Maps still works on Java phones. Do we even have any of those around anymore? Wow! Truong, however, was not satisfied and wanted to push Google Maps even further. 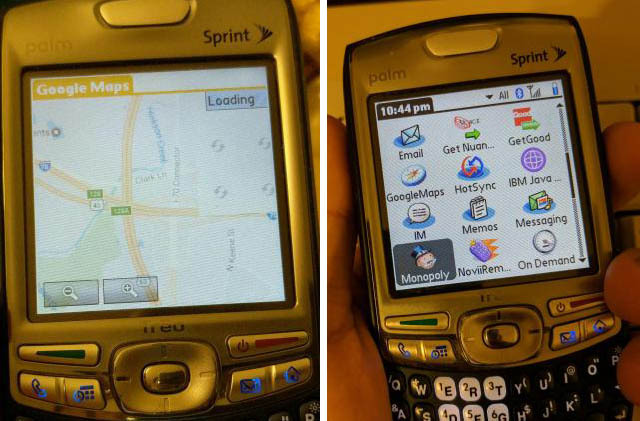 So he pulled out his Palm Treo 755p — a phone released way back in 2007. That phone runs PalmOS, doesn’t understand Unicode, and freaks out if it sees anything other than ASCII characters to be rendered. Well, guess what? Google Maps worked perfectly fine on his PalmOS device as well. I’m sure you’re amazed by now, but here’s something even more exciting. 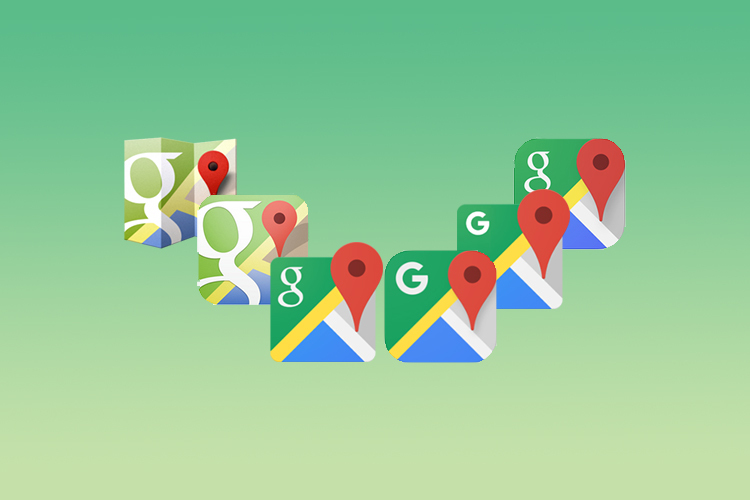 Google Maps on all of these old OSes and phones uses the latest maps data. It even shows the newly constructed Steve Jobs Auditorium in the Apple Park campus! That’s simply amazing, and Google deserves some real acclaim for this. I mean, no other maps application has come so far, and works fine on so many old devices, software, and even on WebOS (an unofficial version, but still).